Drs. Silvina Irwin and Lisa Blum are offering this educational and experiential workshop which teaches you the core concepts of Emotionally Focused Therapy (EFT), heralded as one of the most effective couples therapies by the New York times and endorsed by the American Psychological Society as scientifically proven. These workshops are based on the international best-selling book Hold Me Tight: 7 Conversations for a Lifetime of Love by Dr. Sue Johnson. These transformative workshops will help you reconnect, repair, and re-energize your relationship and help you create a positive loving bond that will last a lifetime. Cost: More details coming soon! Course Level: This course is suitable for beginning, intermediate and advanced-level practitioners. Clicking on the registration button above will take you away from this web site to the EFT Resource Center registration page for this event. Define secure and insecure attachment using the terms of attachment theory. Describe the neurobiological underpinnings and health effects of secure attachment. Identify the three most common interaction patterns of couple distress. Describe how individual emotional vulnerabilities and personal attachment history contribute to the specific interactional patterns of couples in distress. List a 5-step process for interrupting a stuck pattern of couple disconnection and distress to restore a felt sense of safe emotional engagement. Lisa Blum, Psy.D. (PSY#19790) is a licensed clinical psychologist who specializes in promoting healthy couple and family relationships. Dr. Blum is an ICEEFT-Certified Therapist and Supervisor Candidate in Emotionally Focused Couples Therapy (EFT), one of the few research-validated therapies for helping couples and families strengthen relationships and build stronger connections. Dr. Blum is in private practice in Pasadena and West Hollywood, where her work includes individual, couples, and family therapy, and supervision, training, and public speaking on family, marital, and parenting issues. 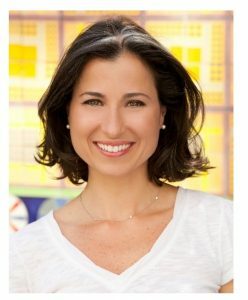 Dr. Blum has worked as a mental health professional since 1987, and has worked extensively with parents and children, teachers and staff both in clinical practice and in community settings, and she consults to public and private schools and organizations to develop programs that support families. 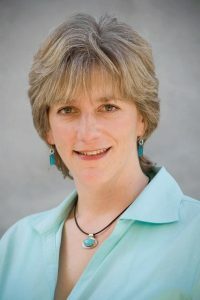 Dr. Blum’s previous experience includes: Supervising Psychologist at the Institute for Girls’ Development in Pasadena; Supervising Psychologist for Children’s Hospital¬-Los Angeles; Staff Researcher at the UCLA Center for Adolescent Health Promotion; and Director of Education for the HiTOPS Teen Health Center in Princeton, NJ, where she designed educational programs for teens, parents, and teachers on healthy adolescent development. Dr. Blum holds Masters and Doctoral degrees in Psychology from Rutgers University and a Bachelors degree in Psychology with honors from Cornell University. 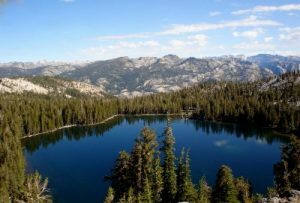 Silvina Irwin, Ph.D. (PSY#19710) is a licensed clinical psychologist in private practice in Pasadena, CA. and co-founder of the EFT Resource Center. She is an ICEEFT Certified Trainer, Supervisor and Therapist in Emotionally Focused Therapy. Dr. Irwin specializes in working with survivors of childhood and adult trauma, focusing on healing and recovery at the individual level, as well as addressing the impact that traumatic experiences have on intimate relationships in her work with couples. Dr. Irwin works with teens, adults, families and couples. In addition to providing clinical services, Dr. Irwin conducts trainings and workshops for professionals in the community, including the police department, Office of the District Attorney, psychotherapists and psychology trainees at various centers, and medical staff at local hospitals to name a few. Dr. Irwin trained at Harvard Medical School, and at the University of San Francisco, California Medical School. She received her Masters and Ph.D. in Clinical Psychology at the University of Massachusetts Boston. She was trained and mentored by Dr. Sue Johnson, founder of Emotionally Focused Therapy. 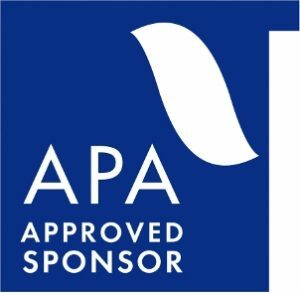 Illuminated Education is approved by the American Psychological Association to sponsor continuing education for psychologists. Illuminated Education maintains the responsibility for this program and its content. California masters-level therapists licensed by the Board of Behavioral Sciences should note that the BBS accepts APA approval for continuing education activities. If you are a psychologist or other mental health practitioner licensed outside of California, please check with your licensing board to make sure that APA sponsor approval is sufficient for CE credit in your state or province. For assistance in assessing whether you can obtain credit for this course, please contact Illuminated Education (Dr. Chris Cooper, 626-744-9472, cdcooperphd@earthlink.net). Cancellation Policy and Refunds: Cancellations prior to 1/10/2018 at 12 pm will be eligible for a 100% refund, minus a $30.00 processing fee. Cancellations after 12 pm on 1/10/2018 will be subject to a $550.00 cancellation fee, and the remainder of the registration fee will be refunded. HOWEVER, you will have a credit with us for the remaining registration amount to be used at a future workshop offered by the EFT Resource Center. This policy is the most generous that we can offer; the cancellation fee is necessary because of the commitments we make to the hotel or retreat center where we are holding the workshop. For information about refunds and accommodations, please see the EFT Resource Center website (www.eftresourcecenter.com) or contact Dr. Chris Cooper (Illuminated Education) by phone (626-744-9472), FAX (626-585-0440, or email (cdcooperphd@earthlink.net). If emailing, please reference this program in the subject line. Copyright © 2017 - Illuminated Education. All rights Reserved.